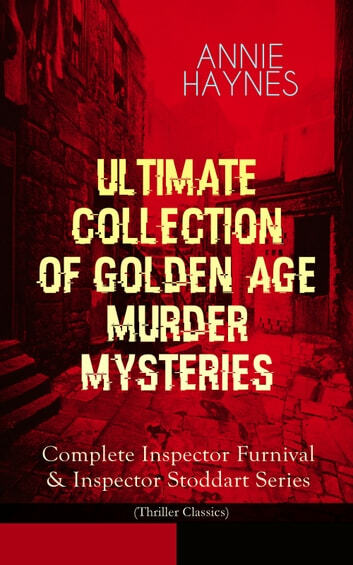 This carefully crafted ebook: “ANNIE HAYNES - Ultimate Collection of Golden Age Murder Mysteries: Complete Inspector Furnival & Inspector Stoddart Series (Thriller Classics)” is formatted for your eReader with a functional and detailed table of contents: “The Abbey Court Murder” – Lady Judith Carew finds herself in the middle of a gruesome murder at the Abbey Court and all the clues point at her direction. Is she the real murderer? “The House in Charlton Crescent” – Lady Anne is herself at the receiving end of a puzzling murder mystery when the killer strikes her for hiring a private detective. Would Inspector Furnival be able to solve the mystery of the double murders and find the criminal before it's too late? “The Crow's Inn Tragedy” – A famous lawyer is strangled in his own office and a notorious gang of criminals is at large. What do they want and how would Inspector Furnival foil their evil plot? “The Man with the Dark Beard” – Basil Wilton is accused of murdering his own father but is he the real killer or is the-man-with-the-dark-beard someone else known to him who is on a murdering spree? “Who Killed Charmian Karslake?” – The riddle around the murder of Charmian Karslake, an American actress, gets murkier at every step. Can Inspector Stoddart solve this puzzle? “The Crime at Tattenham Corner” – A gruesome death just before an important horse race looks out of place until Inspector Stoddart is called in to look into the matter. “The Crystal Beads Murder” – A broken necklace is the sole clue for Inspector Stoddart to solve a high-profile murder until it's too late! Annie Haynes (1865-1929) was a renowned golden age mystery writer and a contemporary of Agatha Christie, another famous crime writer. 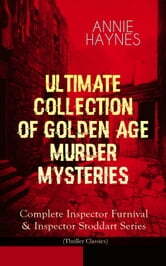 Haynes's fictions are now lauded for their quick-pace action and sustaining aura of suspense till the end.